A shop in Torquay has had its premises licence to sell alcohol revoked. Devon and Cornwall Police applied for the licence review due to a number of problems which included the storing of smuggled tobacco and alcohol at the premises. 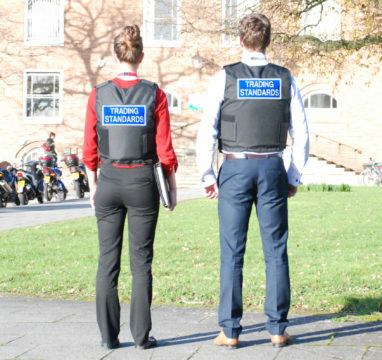 The hearing followed a raid in September 2018 carried out by HMRC and assisted by Devon, Somerset and Torbay Trading Standards Service. Using specially trained search dogs officers uncovered a concealed room in the upstairs stockroom. Officers found a huge amount of illicit tobacco and alcohol, in which the duty was unpaid and the goods were seized by HMRC. To read the original press release from Devon, Somerset, and Torbay Trading Standards please click the following link. NPOANS is an interactive online toolkit aimed at all businesses and premises that sell age restricted goods or services. The toolkit is run and maintained directly by Trading Standards South West with a dedicated group of experts that ensure the toolkit is kept up to date with any current and upcoming legislation that may affect your business.